Unless you’re a security guard or the foreman on a construction site, you probably haven’t used a walkie talkie since you were a kid. Yet the idea of instant voice chat with individuals or groups is still pretty compelling. 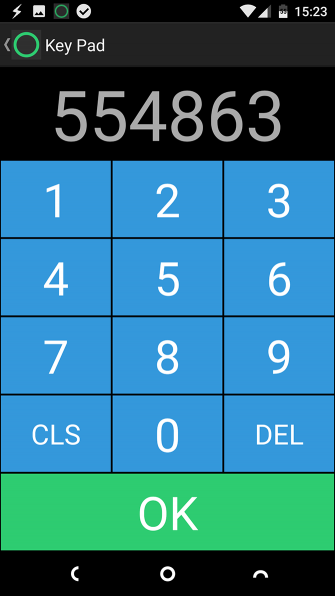 There are heaps of free walkie talkie apps for smartphones that give you exactly this. 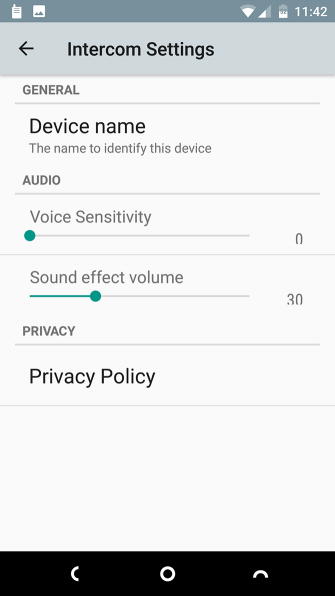 Why Use a Walkie Talkie App? 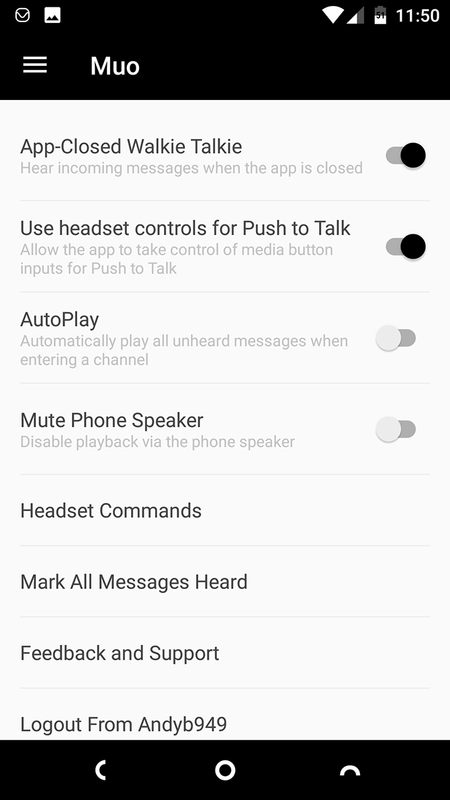 Walkie talkie apps work like the real devices. You listen to all the activity on your chosen channel, then hit the big Speak button when it’s your turn to talk. Walkie talkie apps require Wi-Fi or data connections, although due to the heavily compressed audio they use very little data. As a result they can even work on an ancient 2G connection, should you find yourself in a place where there’s poor network coverage. 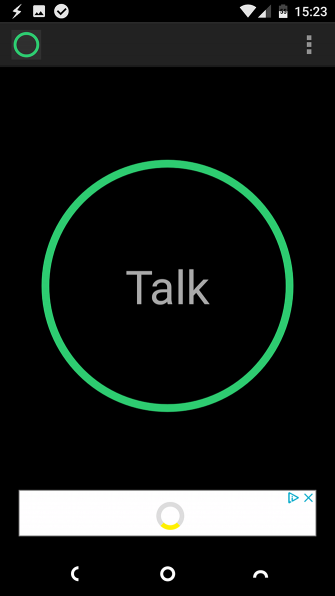 Here’s our guide to the best walkie talkie apps for Android and iPhone. 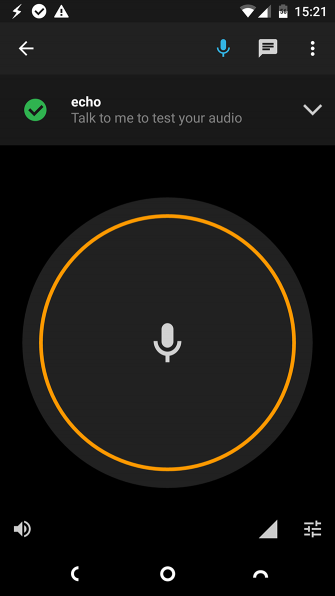 Zello is the best walkie talkie app you can get. 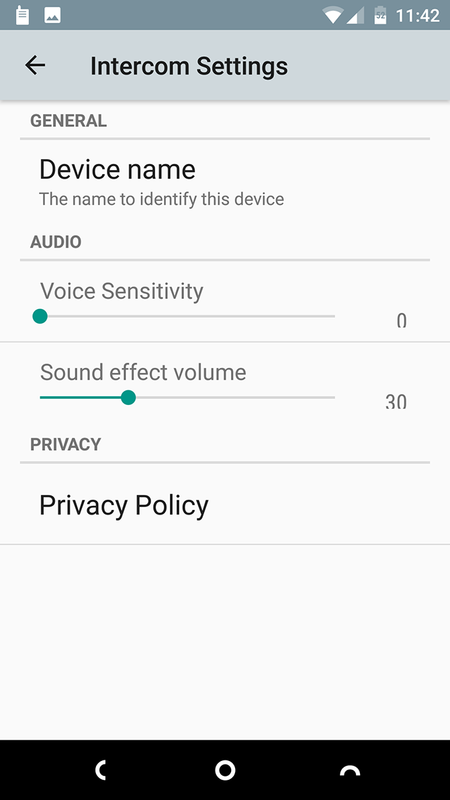 It’s available for both Android and iPhone, and requires you to set up an account before you can get started. 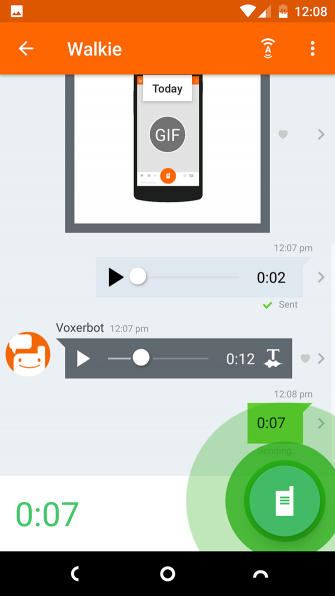 It’s a comprehensive messaging app with the walkie talkie feature at its heart. It offers high-quality audio and full support for Bluetooth headsets. You can chat over public or private channels, with up to 2,500 users at a time. 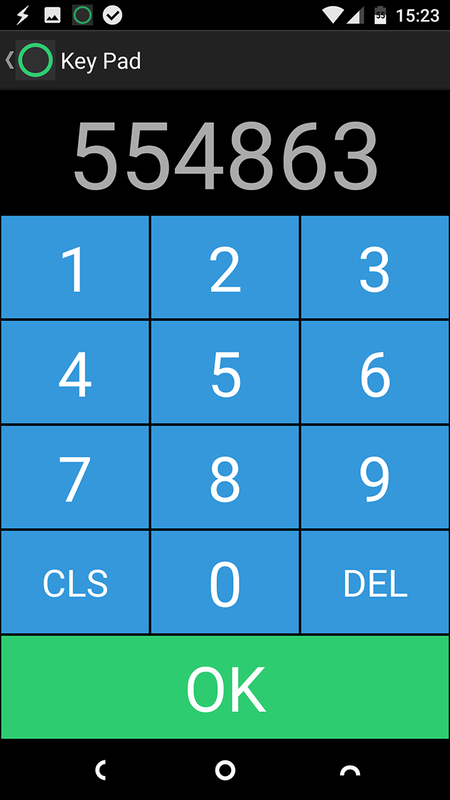 The app runs quietly in the background, so you’ll never miss an incoming call. But there’s more. 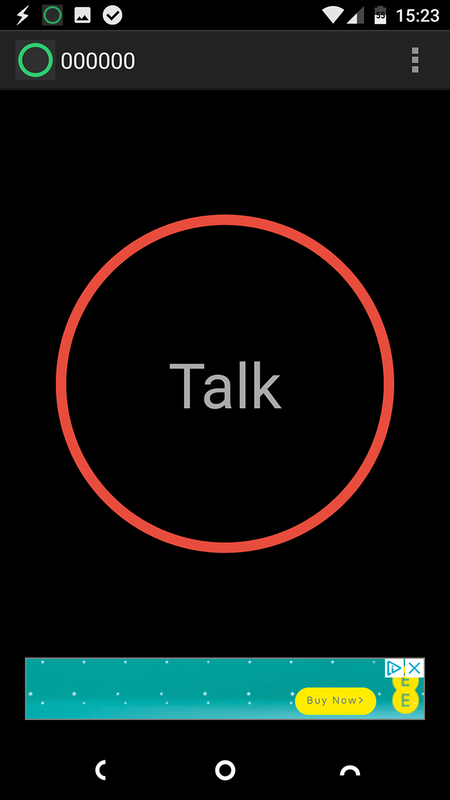 The app offers a text messaging service and support for Apple Watch and Android Wear smartwatches. 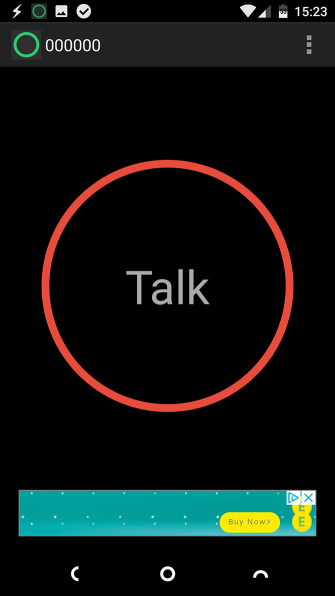 It also integrates with your phone’s contacts, so you can speak to anyone who also has the app installed. 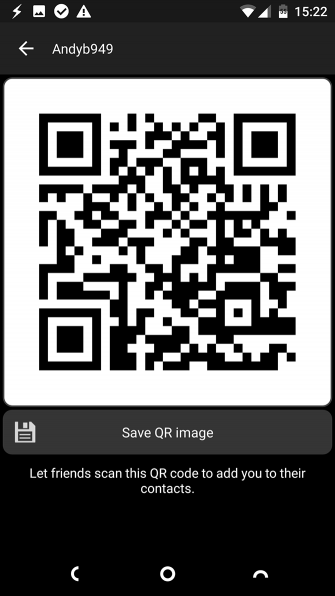 If you prefer, you can also share your Zello contact info via the built-in QR code feature. 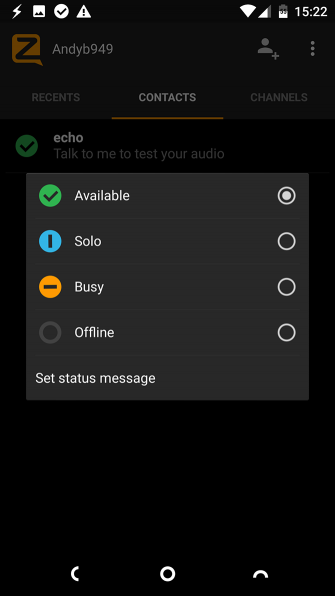 The Zello walkie talkie app first gained popularity in the US during the 2017 hurricane season. 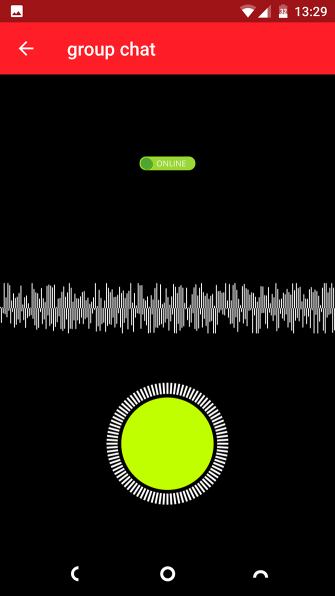 Despite some reports at the time, the app doesn’t turn your phone into a fully functioning walkie talkie. It still needs some kind of data connection to work, although that can be something as slow as a 2G connection. Two Way: Walkie Talkie could not be more simple. Just open it up, dial into a random channel, and start talking. There’s no signup, no usernames or passwords, and no configuration. There’s also no privacy. All channels are public, so if you happen to pick one that someone else is already using, you’ll be able to hear their conversation—and join in, if you want. With a million channels to choose from, it’s an unlikely scenario. Just make sure you steer clear of the obvious channel numbers, like 000000. You need to share your chosen channel number with your friends so they can dial in. Also, you must keep the app running to hear their calls. For a no-frills, no-fuss service, this is hard to beat. A full-blown messaging app built around walkie talkie functionality, Voxer is one of the most polished offerings of its type. It has most of what you’d expect in any messaging app, including the ability to create group chats with friends and have private, encrypted conversations. The chat part is easy. Just hold down the walkie talkie button while you speak, then release it to hear what others have to say. 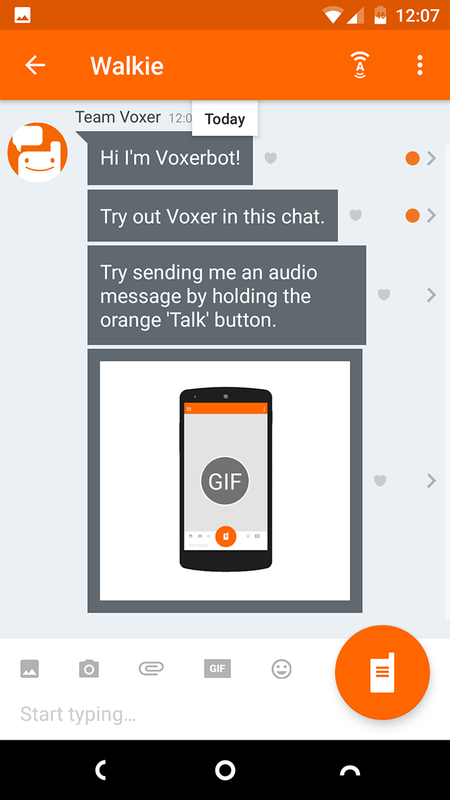 If anyone’s offline, you can leave voice or text messages (with full GIF support via Giphy). 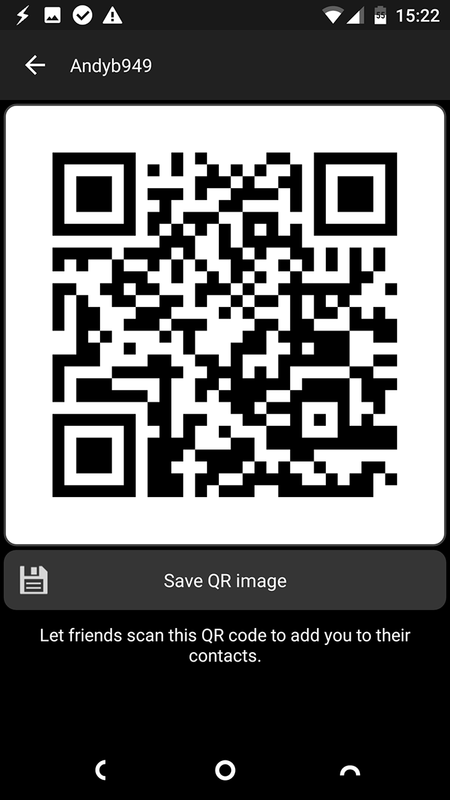 You can also share files and photos at the touch of a button. 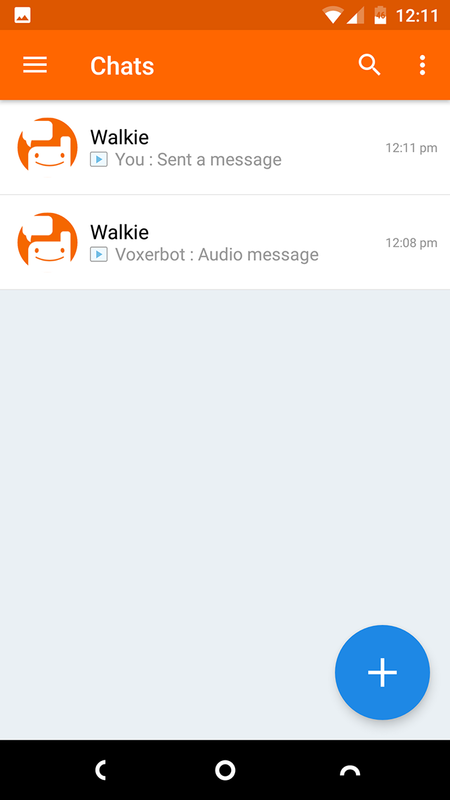 Voxer works best if you give it access to your contacts. You have to create an account to use it, which includes adding your phone number. Intercom is great for communicating with people nearby, like in a school, shopping mall, or office building. It doesn’t need an internet connection; it uses your phone’s wireless technologies to transmit to other users. 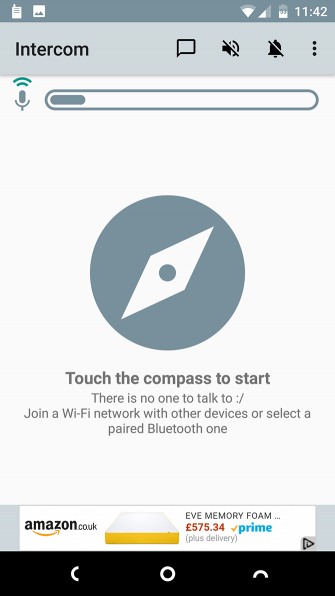 So you can chat with people on the same Wi-Fi network, or make a direct ad-hoc connection via the Wi-Fi radios in your phones. 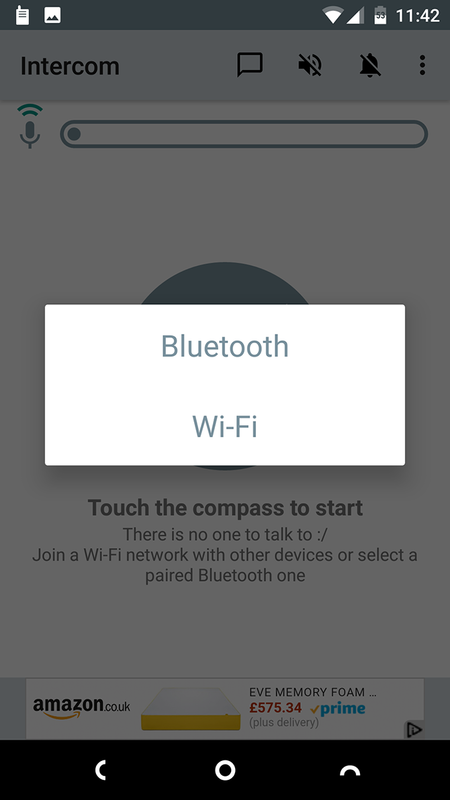 Or if you’re especially close, you can even use Bluetooth. There’s not much to it, but that’s part of the appeal of Intercom. It’s the ultimate pick-up-and-play app. You don’t need to register or worry about granting contact permissions. It simply connects you to whomever else is nearby. And it works across platforms, too. While it’s designed primarily for outdoors sports use—the app is compatible with Outdoor Tech’s Chips 2.0 snow helmet speakers—Walkie Talkie ODT Audio works for anyone. You need an account to get started, but it’s quick and easy to set up. 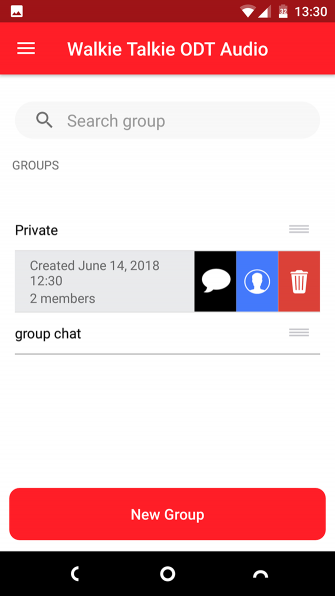 Once done, you create your own group and then add your friends as members. This doesn’t happen via your contacts list. Just search for them by name or email address and add them. The ability to organize your friends into separate groups makes it useful for working on projects or organizing events. You can see when people are online, and the sound quality is good. The app has no other features—it lacks messaging, for example—but that helps keep it lightweight and easy to use. If you’ve ever used Slack, the popular messaging app for work teams, you’ll be able to get to grips with Modulo quite quickly. It works along similar lines. You create a team, and your friends or colleagues can sign up and join the team individually. Then set up channels within the team to keep everyone organized. 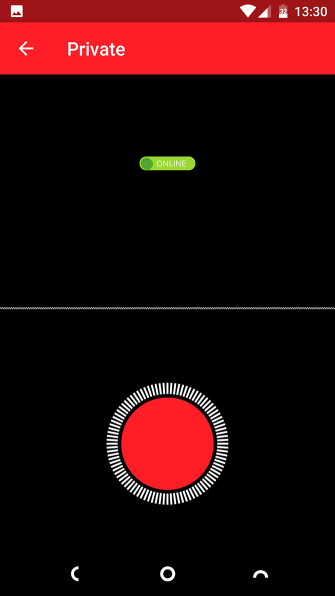 It makes the setup process a lot more complicated than some of the other apps we’ve looked at. But the result is that you get a private and secure area to chat, reserved solely for your team. Once you’re all logged in, you can chat in real time or leave voice messages that anyone who’s offline at the time can pick up. 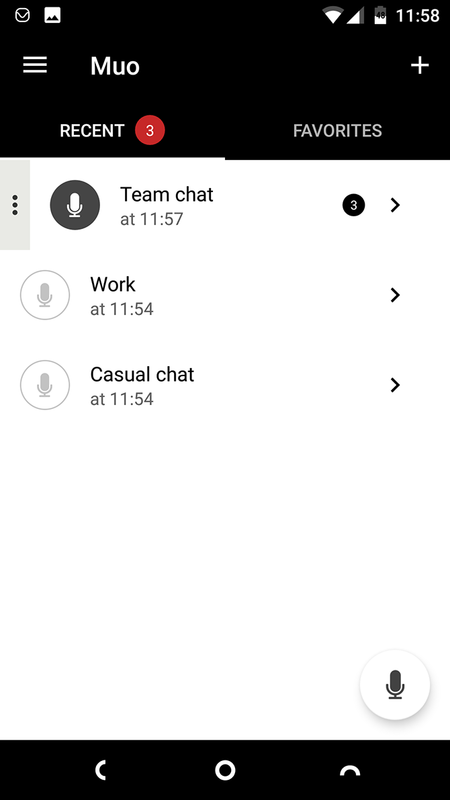 There’s also support for text messaging, including the ability to share files with other team members. 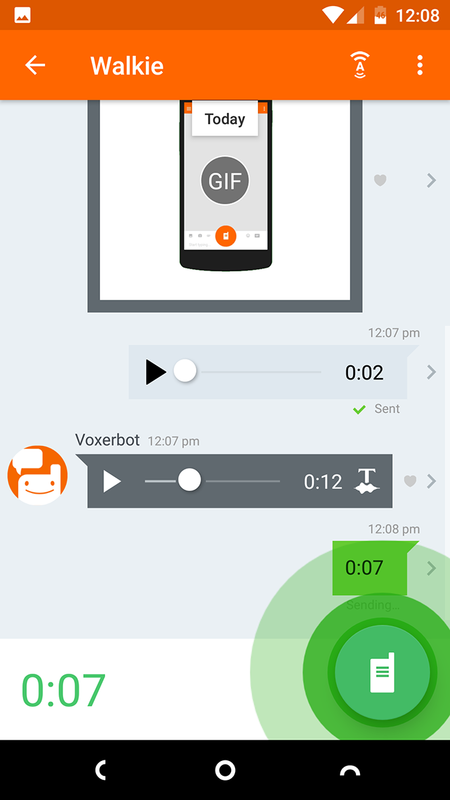 If you’re looking for a voice app for business, this is the one to choose. Walkie talkie apps are much quicker and more convenient than having to make normal voice or data calls, and can be a lot cheaper, too. 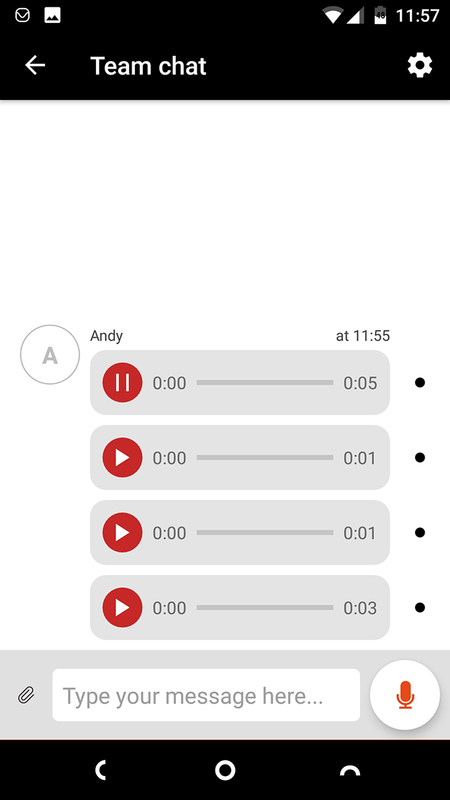 Just by leaving the app running you can always speak to your friends or workmates, without needing to leave a call connected for minutes or even hours. On top of that, their low data usage makes them ideal in areas where there’s poor network coverage. A good walkie talkie app is an essential addition to any phone’s messaging tools. Once you’ve picked your favorite, take a look at our guide to the best messaging apps to find great text, voice, and video chat platforms.